Implant-associated breast cancer is a well-described pathologic process that occurs in patients with breast implants. 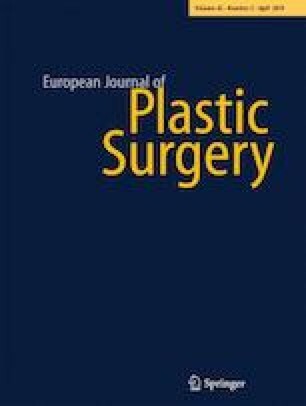 Anaplastic large cell lymphoma (ALCL), the most prominent malignancy associated with breast implants, has been extensively described, while literature regarding non-ALCL implant-associated cancers is limited. Here, we present a rare case of a 55-year-old female with squamous cell carcinoma (SCC) of the breast and chest following multiple breast revision surgeries who underwent tumor resection with a unique soft tissue reconstruction utilizing two anterolateral thigh (ALT) flaps in a flow-through manner. Pedram Goel, Dan Gould, Anthony Kim, Julie Lang, Ketan Patel, and Joseph Carey declare that they have no conflict of interest. Formal ethics committee approval is not required for this type of study. Informed consent is not applicable as no identifying photographs or information have been included.